"By Appointment Only": Haute or Hype? In 2015-2016 I led a luxury winery's transition from having an open to the public (OTP) tasting room to becoming a by appointment only (BAO) estate, and years later I still get asked about it by industry peers. It feels as if I spent time with a unicorn and everyone wants to understand its magic. "By Appointment Only" continues to be a hot topic and one that doesn't seem to be disappearing any time soon. While phrased in different professional and polite ways, the root question I am always asked is, "Is a by-appointment winery model really all it's cracked up to be?" The answer is, of course, yes and no. Competition is growing with more than 8,700 wineries across the United States vying for the consumer dollar, and there is a permeating feeling among winery stakeholders that wine buyers (as opposed to your average wine country tourist) have grown tired of the public tasting experience. In fact, data suggests that sales and wine club signups at BAO wineries outweigh those of OTP wineries. "Consumers that have made appointments tend to be more serious. There may be fewer visitors but the visitors typically spend more in these situations" (2017 WBM/SVB Tasting Room Survey Report). Wineries tossing around the idea of moving to a BAO model should consider this truth before taking the plunge: THERE IS NO SILVER BULLET. Simply adjusting your hours and reservation style doesn't automatically make you more desirable and drive up the demand to visit your winery. You have to make an appointment to get a tee time at the local public golf course just like you have to make an appointment to eat at The French Laundry... see the difference? 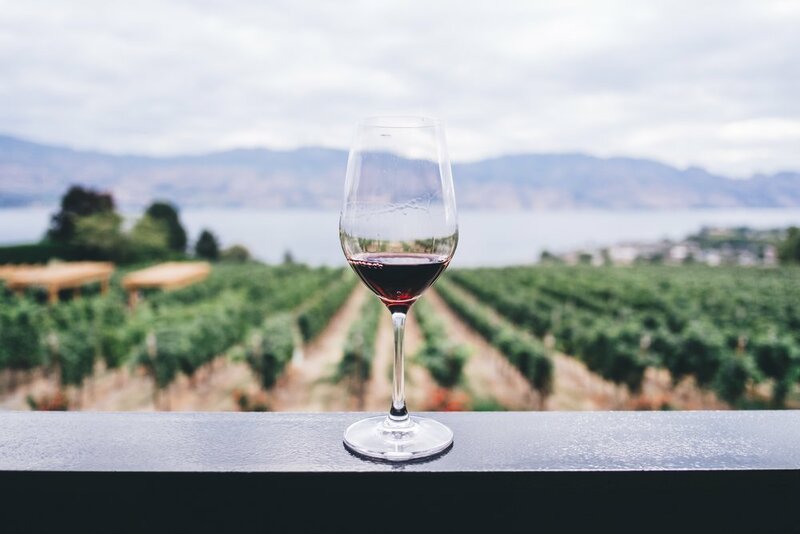 Requiring reservations certainly can lead consumers to regard a winery as more special or elite, but the Holy Grail you're seeking is so much more than just being by-appointment. Success depends on the full experience, the perfect blend of all the right ingredients: the type of tasting, the location, the winery host leading the tasting... the list goes on and on. The confirmation email sent to a guest upon making a reservation sets an expectation, as does the impression made at the point of passing through an ornate iron gate, or traveling down a long driveway decorated by gorgeous olive trees, or arriving at grand entrance of over-sized glass doors. But what's most important is the second impression - how you make the guests feel in person once they've arrived. The way a customer is made to feel in a traditional bar tasting or semi-hosted seated tasting varies from a formally or privately hosted seated tasting. The latter, yielding the best per-person sales results, is typically the type of experience offered in a BAO setting (2017 WBM/SVB Tasting Room Survey Report). There is typically more time and engagement with the host in this setting, which can more easily create positive and productive consumer relationships. That said, it also can be the source of disappointment if your host is a dud and is likely to decrease the chance of any sales from the guest (and may even lead to terrible Yelp reviews or word-of-mouth). The BAO model in tandem with unique and delightful experiences should drive success, but brand equity matters, too. It's the "X factor" wineries often neglect to consider, or just plain ignore. Newer wineries don't yet have brand equity like long-existing brands do, so not enough people know or think to visit. While your performance metrics might be higher under the BAO model, you will probably need to accept walk-ins for some time until you develop enough critical mass to meet your overall business goals. On the flip side, established wineries may be advantaged or disadvantaged under BAO. If your brand equity is through the roof as a producer of iconic wine, you probably won't have an issue under this model. Demand is there, and you can set the tone for how you want to run your business. You have seller power. But if you are like most wineries with decent tasting room visitation and plenty of wine to sell through it, proceed with caution. You might have critical mass now as an OTP winery but diminish this and potentially your brand equity by moving to BAO. Consumers have the power, so it's a riskier move as consumers (and probably your staff) don't like change. Thus, the move may bring those positive vibes to a halt if your loyal customers love you and expect you to remain just as you are. My advice to anyone considering moving from OTP to BAO is this: Look before you leap. Look at published metrics from Silicon Valley Bank and run the numbers... what does your best and worst case visitation scenario look like? It's unlikely you will lose all of your customers by moving to BAO. But what if your traffic diminishes by say 40%? Will the improved metrics under the BAO for the retained 60% get you where you need to go? What if 10% of your current wine club members decide to quit because they don't like the "new you" - can you afford to lose them knowing conversion of new members is likely to be higher? Finally, talk to your peers. Speak with other wineries that have made the transition, and those that started as BAO from the get-go. It's possible to make the transition in stages, or maybe you decide to only make your elevated tastings BAO, not the whole visitor experience. Remember, your business is unique to you. So gather information, assess your positioning and risk tolerance, and move forward from there. And if you're still in doubt, don't hesitate to reach out to me personally. I'd be pleased to connect with you and share my experience. Don't miss a thing ... receive the latest blog posts right to your inbox! Feb 24, 2018 "By Appointment Only": Haute or Hype? Apr 10, 2016 The Customer Is Always Right, Right? Wrong. © 2018 affinityDTC. All rights reserved.